When it comes to the acquisition of customers, a marketing company must seek to obtain the Midas touch. We want as many of our customers as possible to “convert,” however we have set that metric. Every marketing company must have lead generation as their central focus. Brand awareness is great. Accruing more followers — worthy. However, unless your marketing budget — your client’s dollars — is making a measurable and significant return, the point is moot. What good is it for everyone in the area to know who Acme Anvils are if not a single one of them is a “wily” coyote purchasing one to drop on a pesky roadrunner? Know who the target audience is. Know what it is they need. From here, you can run an optimized, targeted lead generation campaign. It will meet the eyes of those who need to see it, and it will create a solution. Which — you guessed it — generates a worthy lead. So what tools are available to you to create an effective lead generation campaign? The Facebook Business Ads Manager makes curating a positively associated lead generation campaign a snap. Here are some things you ought to know. 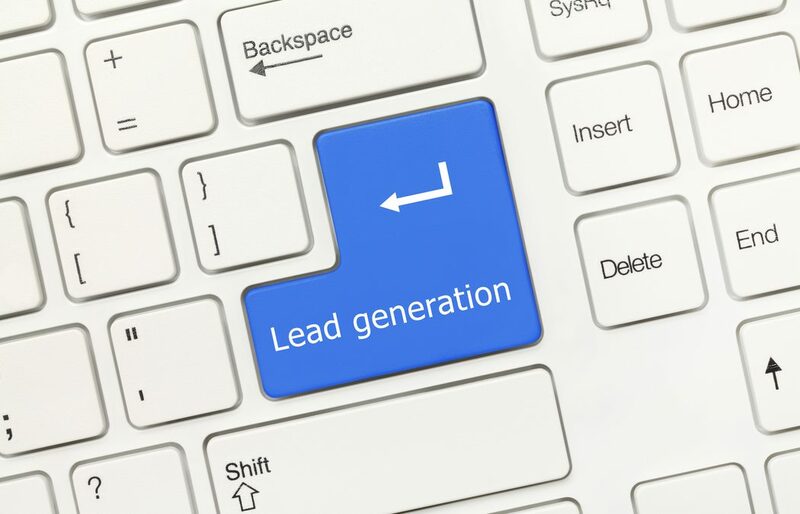 Why use lead generation ads? Advertising is an age-old method used to put a product in front of people and get them thinking about it. The industry has greatly evolved over the years, and technology and specifically social media are one of the most sure-fire ways to get your message seen or heard. Use it to generate leads for your client’s business. The platform (e.g. Facebook) generates the leads for you. Through audience targeting based on interests, demographics, and geography, it finds those people you want to reach. This leads to the second point. Lead generation ads find you warm leads instead of forcing a business to resort to cold-calling. Social media allows us to find those people who are looking for the business’ service easier than ever. They are far more likely to convert if the offer falls at their feet as they wade through the market. Maybe your idea of generating a “lead” doesn’t have anything to do with a price point. Remember, conversions are whatever you define them to be. Lead generation ads are also useful in supplementing an email list or feeding into a CRM (Customer Relationship Management) tool. Lead generation ads act as any other Facebook ad up to the point of the call to action. And with any advertisement, whether it be digital on social media or on a highway billboard, the call to action is the ad’s pièce de résistance. And this is where us marketers separate the men from the boys. We aren’t waving our arms and letting people know our client exists. We aren’t trying to get “likes” or even “shares.” An optimized lead generation campaign gives the business all the information they need to contact that lead ASAP and close the door on the deal before the opportunity closes on them. Facebook lead ads provide a form for potential customers to fill out. At the most basic level, these forms should request a name, a phone number, and an email. When the information is collected it is recommended you sync up the leads so that the client receives this information quickly. Several services accomplish this; we use LeadSync. This expedites the process significantly and allows the client to get a hold of these people in a timely manner without having to rely on you to send them the information. But wait. Don’t people hate to fill out forms? The process isn’t getting any easier on mobile, despite the fact that more and more people trend toward consumption on this medium. Thankfully, Facebook has thought of this too. With the user’s consent to the prompt, Facebook automatically populates the available fields, pulling information from the user’s personal profile. At this point, and at very little cost and effort on your part, the lead generation ad has just brought in a warm lead. This is a person who has seen your ad and made some sort of connection in their mind that led them to fill out their information and submit it directly to the client. Whether the action leads them to receive a weekly newsletter on health practices or a personal phone call with information on the newest car on the lot, their ad dollars have been put to proper use. Now to the meat of the issue. What exactly do you as the marketer do to set up an optimized lead-generating ad? Plan an effective promotion. Even the sleekest advertising technology from Facebook can’t decide what is best for your client. That’s all you. Map it out; what does your client hope to accomplish with this ad? What is their big picture goal? Everything you do, and especially this ad, should divert the water to turn these specific gears. This content will be the driving force behind whatever interest a person places on your ad, so make it good. In Facebook Ads Manager, create a new ad. As you navigate to the Facebook Ad Objective dashboard, select “Lead Generation” from the options. Name the campaign. Create your ad. Name your ad set, set the budget, outline your audience, etc. Put together your creative as you normally would. Remember, all ads serve the same purpose up to the call to action, and as such, there is a lot of crossover in the creation of the ad. When running a lead generating ad, it doesn’t matter how you draw your lead in — but it is imperative that you do. Nothing changes here. The creative and its message is still the way you draw initial interest — how you get your potential lead to stop scrolling and pay attention. As you conclude the creative, you will be prompted to create a lead form. This is where you, with your knowledge of your audience and the information your client wishes to obtain, select which fields you will include in the form. Once you place your order and Facebook has approved your ad, you are set. This is where you can sync up your lead generating ad to a site like LeadSync and Zapier. From here, all you have to do is watch your audience turn to warm, gooey leads and start spinning gold. We feel okay with mixing our analogies at this point.